Twice this morning I put an item in a cupboard and had the fleeting thought that the shelves were a mess. 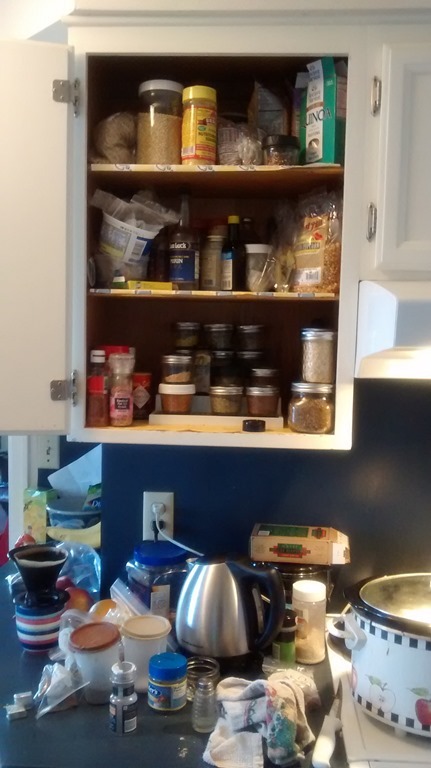 I needed some spices for the crock pot – I found them easily enough, but this isn’t exactly how I like my shelves. So – Inspired by the 5 Minute Cleaning Challenge I see often on Facebook, I thought I’d see where I could get in 5 minutes. I’ve been listening to Truth for Life, Alistair Begg, so I hooked it up to the bluetooth, I poured my drip coffee, then set the timer. And here we are when the 5 minutes was up. I took everything out, wiped the shelves out, wiped the tops off, and refilled canisters from the bulk bags. I like to keep my spices by types of food. Soups, Asian, Mexican, and our Daily use. I couldn’t leave it here, so I set the timer for 5 more minutes. 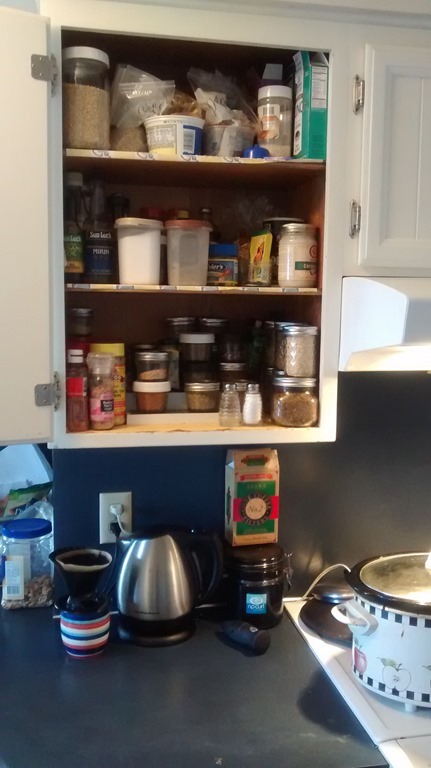 A clean organized Spice Cupboard! We are headed to Corvallis today and will hit Trader Joe’s. I have a list of spices to look for. 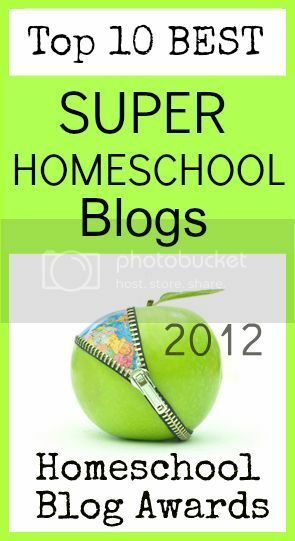 Because I cleaned out the shelves and went through my bulk bags – I get to Save Money! Found: Taco Seasoning, Garlic Powder, Pizza Seasoning, Cumin, Salt and Coconut Oil. Score. Now there will be more money for chocolate. What do you clean when you have 5, or um, 12 minutes? 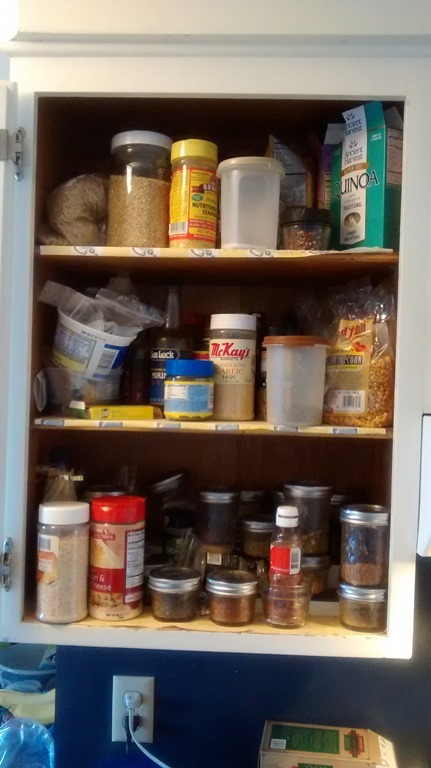 This entry was posted in Morning Ramblings, My Journey and tagged 5 minutes, cupboards, HSBlogger, organize, spice jars, trader joes. Bookmark the permalink. you did well for just 7 minutes!! Love those little declutter moments. 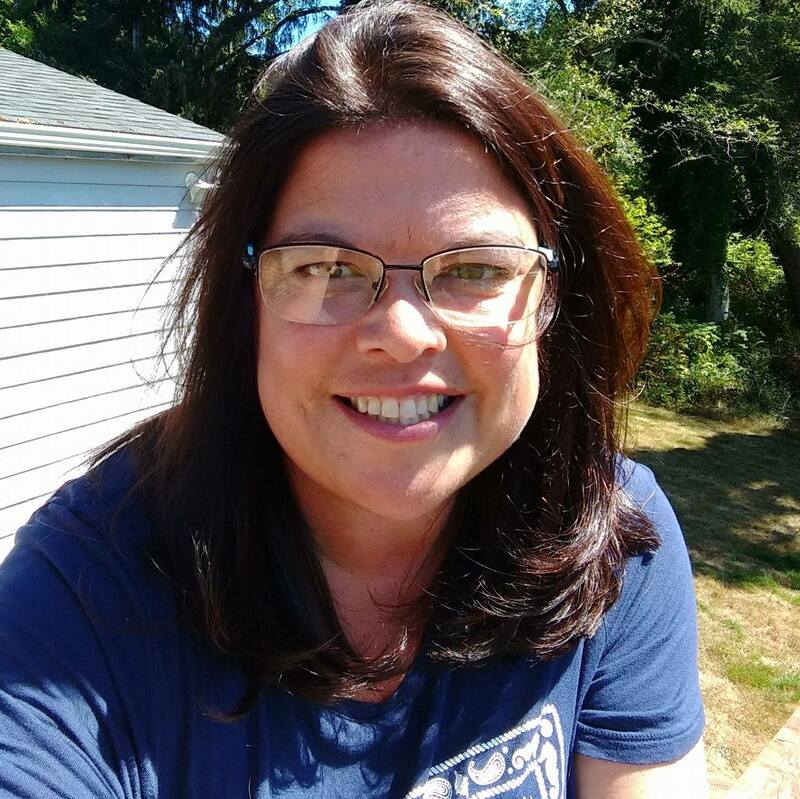 I am trying for 10 minutes every day of decluttering!